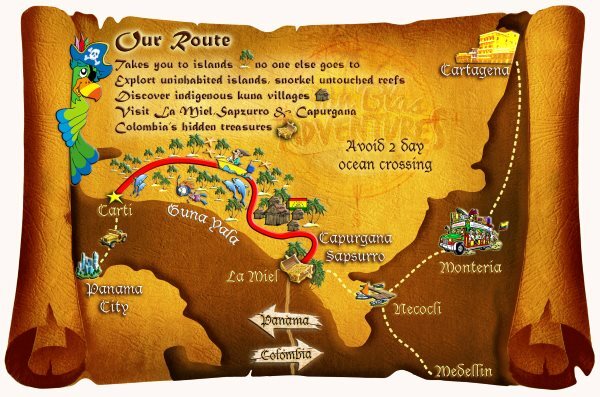 San Blas Adventures route takes you from Carti to La Miel, down through the full archipelago, visiting parts of San Blas no other trip goes to. Being on a speed boat means you get to spend most of the time on the islands. 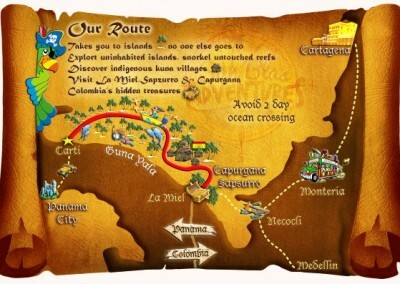 In 4 days you are only on the boat around 8 hours in total and there is no ocean crossing. 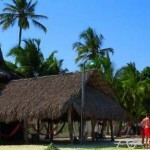 On the trip you’ll sleep on the islands, spending two nights in Kuna villages and one night camping on a deserted island. 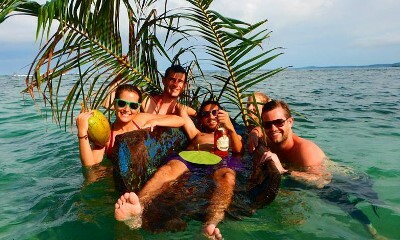 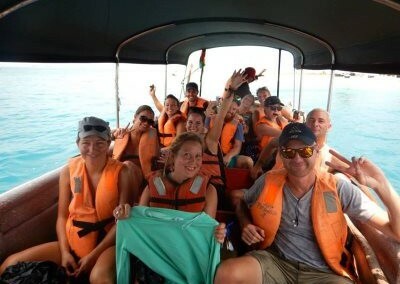 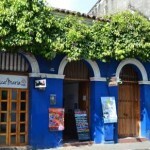 The crew has years of experience both in boating and in San Blas. 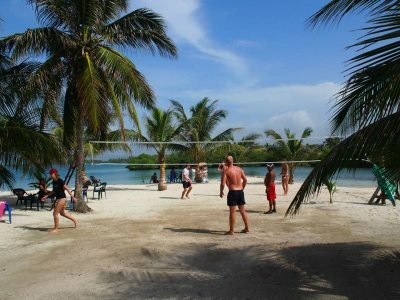 They work closely with the Kuna giving you a unique opportunity to meet the people as well as experience the pristine beaches and waters on offer. 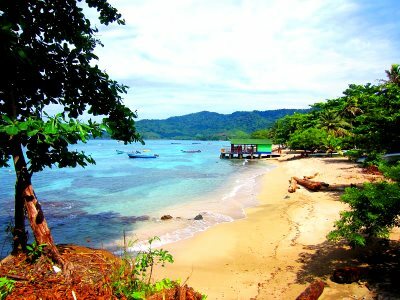 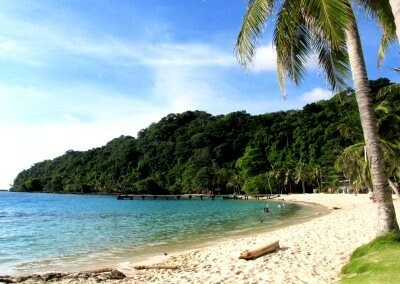 In Colombia the trip starts/finishes in Capurgana, a beautiful Caribbean bay on the border of Panama & Colombia. 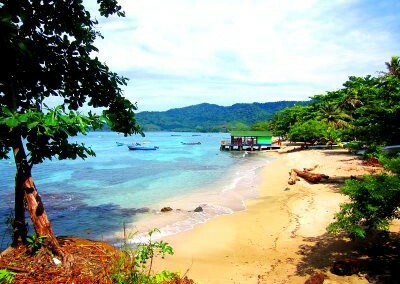 From there it is one day travel by boat and bus to Cartagena or Medellin which is not included in the price.